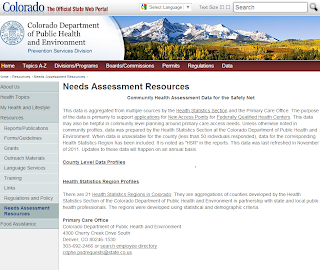 The Colorado Primary Care Office (PCO) has made Community Health Assessment Data for the Safety Net available on the Colorado Department of Public Health and Environment (CDPHE) website, becoming the first to offer this valuable resource for health partners. The Assessment Data includes County Level Data Profiles and Health Statistics Region Profiles, imperative information for expanding health care to Colorado’s medically underserved. This new endeavor also substantially elevates customer service to Colorado’s federally-qualified health centers (community health centers) and saves countless hours of difficult data collection. The PCO utilized internal data expertise to supplement the increasing development needs of community health centers as they strive to expand primary care access in their communities. This data is suitable for all safety-net providers and can be used for Service Area Competitive grant applications, Budget Period Renewals, New Access Point applications and other grant opportunities. 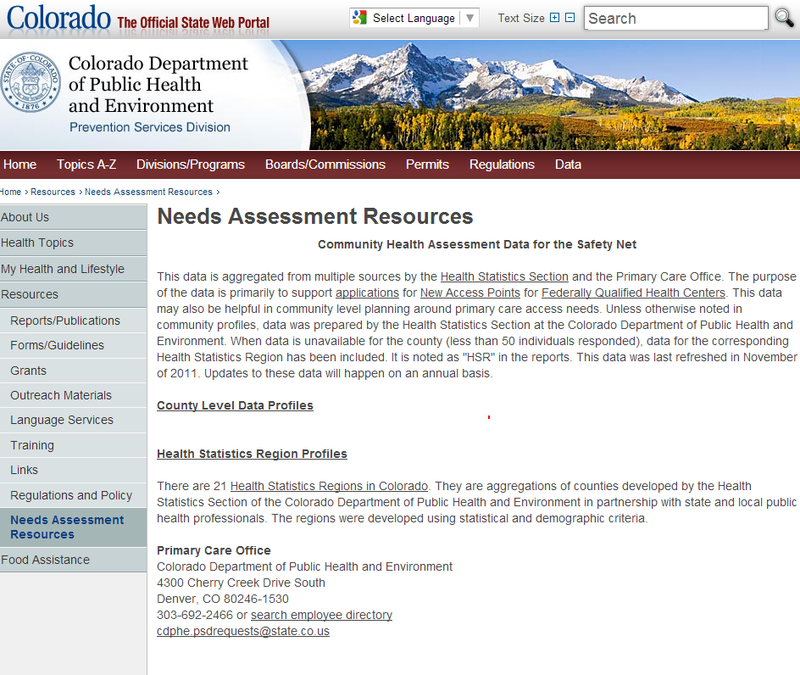 It also can be useful for community level planning and primary care access needs throughout Colorado. Because of the importance of reducing the barriers of access to health care, the PCO will collect safety net data annually and update Needs Assessment Resources each fall. Unless otherwise noted, data were prepared by the Health Statistics Section at CDPHE.